Let us get to the packaging, price and other details…. FACES Canada Cosmetics is really a well-known brand. It provides us supreme quality by keeping in mind our requirements. 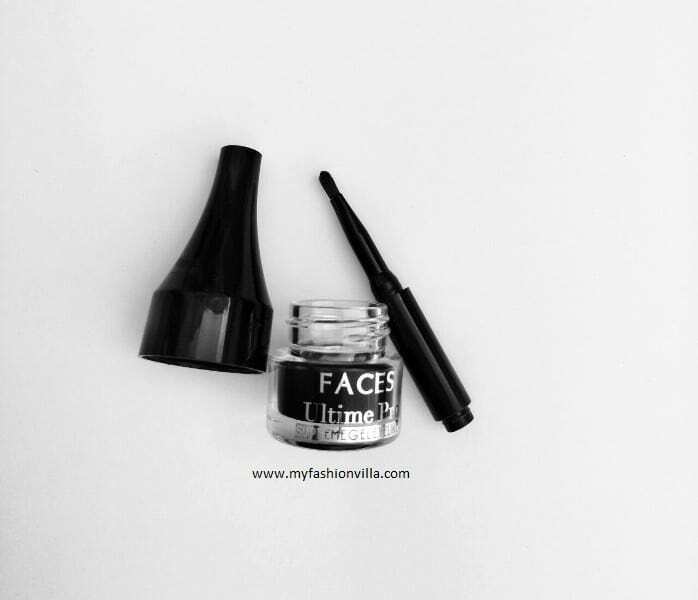 FACES Cosmetics have a good range of products for all the skin types and complexions. They have skincare, beauty, and makeup products. These products are not tested on any animal. 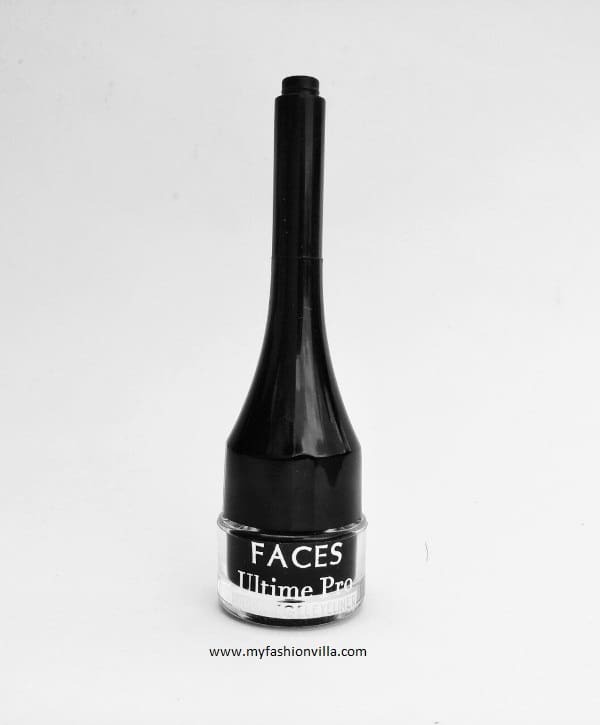 FACES Ultime Pro Supreme Gel Eyeliner comes in a thin pyramid shaped black box. The brand name is printed on front side, details of quantity, directions, and price are given on back side and on left side ingredients are mentioned. When we open the box, a long glossy body having a long black cap with an attached brush and a circular transparent container appears. On the container, the brand name is printed in silver color. The product (body) is really compact and light weight making it easier to carry anywhere! The product is of Rs.649, having quantity of 2ml. 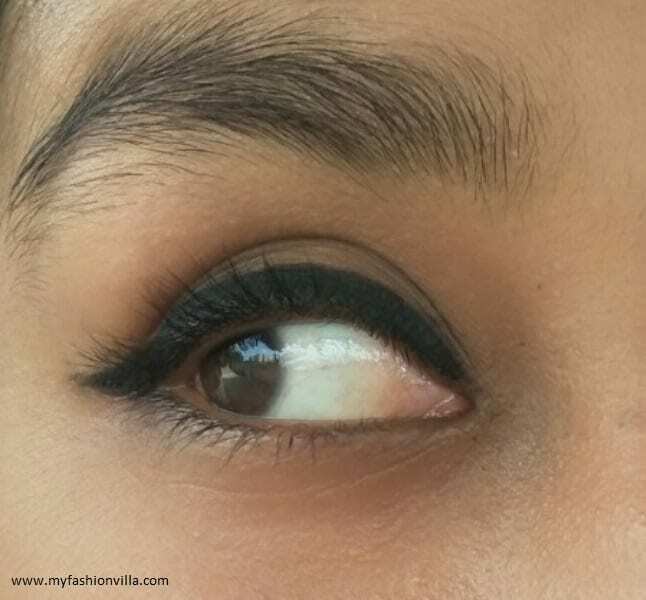 Well, the color of eyeliner is pure black or should I say jet black? Yeah it is Jet black that we girls love!! 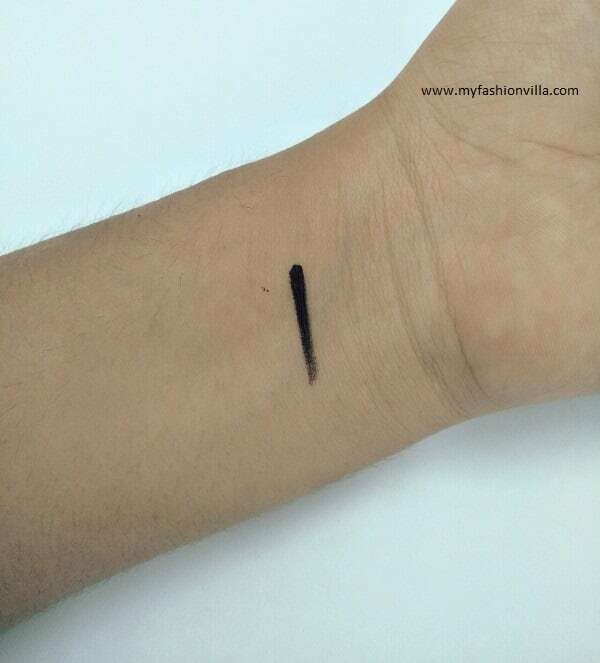 I personally found this blackest of all the other eyeliners I have used so far. There is no odor/smell/fragrance, neither while using nor after application. The texture is really smooth and creamy. Initially, when I glanced inside the little container, I thought it would be a bit harder, and I would have to strike my brush 2 times but NO! I was so WRONG! Just a gentle slide would take enough material needed to apply (on one eye). LOVED IT! 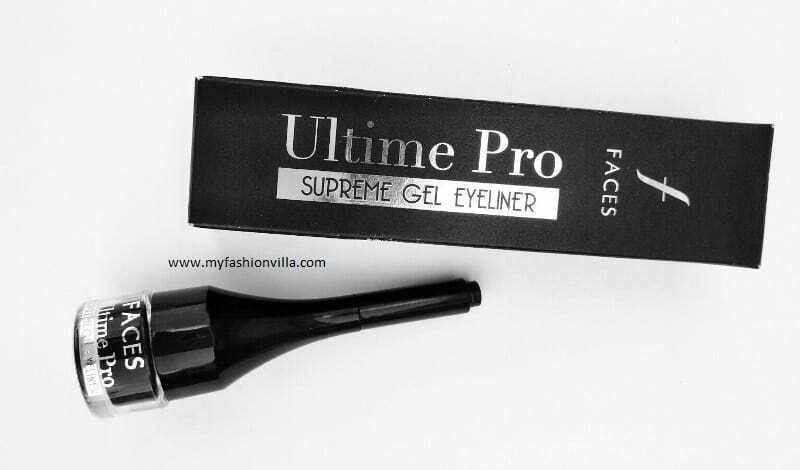 I have totally become a fan of this “Ultime Pro Supreme Gel Eyeliner”. 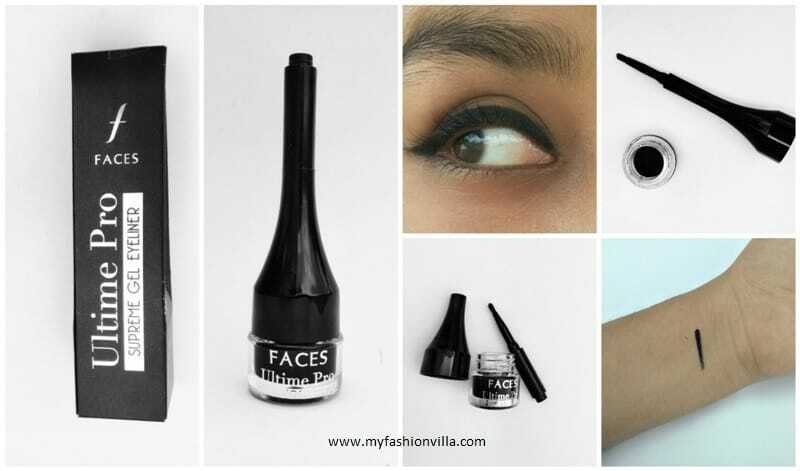 When I got this product to try, I thought it would be like other eyeliner or perhaps better one but comes out to be the BEST one! I started using this from the end of May month (hottest period). I applied it with the brush which gave me the sharpest and neatest look. Well, then I didn’t feel to re-apply it throughout the entire day. I rinsed my face with water four times, I danced and even continuous sweat couldn’t smudge it. The opacity was as good as applied in morning. The shape was not at all affected. Mostly, my skin sweats a lot, and I always pick up the makeup products which are waterproof and long lasting. For removal, I would suggest you to use makeup removing wipes or liquid. If you decide to remove it with help of water then you would have to struggle too much (like I did, on first day;)). Note: after removing this eyeliner (or entire face makeup), just apply a bit of light weight moisturizer. I recommend a good eye cream! Open the cap by rotating it; pull out the brush attached at the upper half part of the cap. Flip the brush and insert it into the top (smaller) hole and lock it! 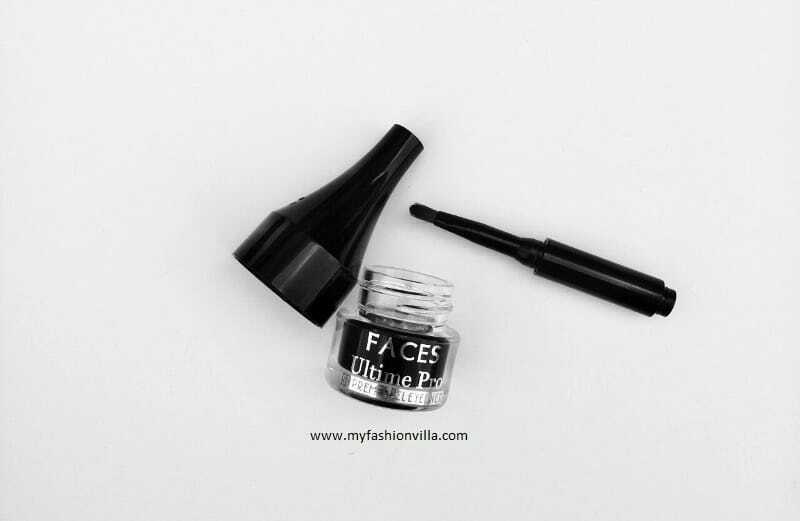 Slide the brush gently on the material and start applying on the eyelid. Begin from the inner corner and slowly glide it till the other corner. Tip: if you couldn’t draw it neatly, then apply some concealer (with a thin brush) on the irregular part as to give a shape to the liner. Thin brush, which provides a “pro” look! Super long lasting (10 hours minimum), The Best Part ! You need to be quick you cannot make changes to its shape after few seconds because it dries up real quick though it doesn’t feel heavy or patchy. 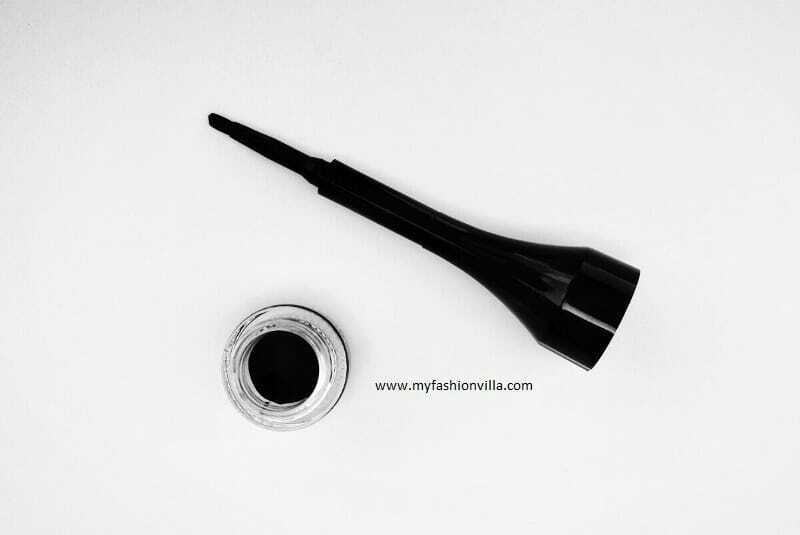 If you are someone looking for an amazing Gel Eye Liner that comes with an excellent staying power and opaque jet black finish, This one is for you. 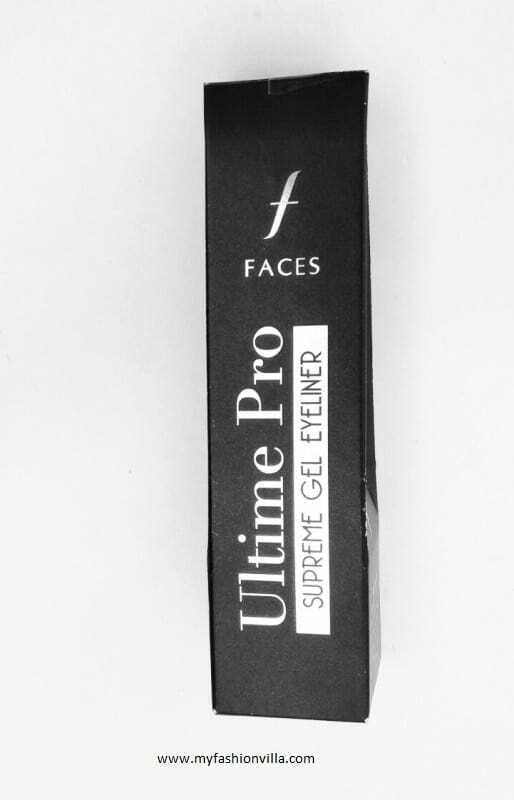 Okay, so these were my words for “FACES Cosmetics Ultime Pro Supreme Gel Eyeliner”. Don’t forget to comment down your views and suggestions!